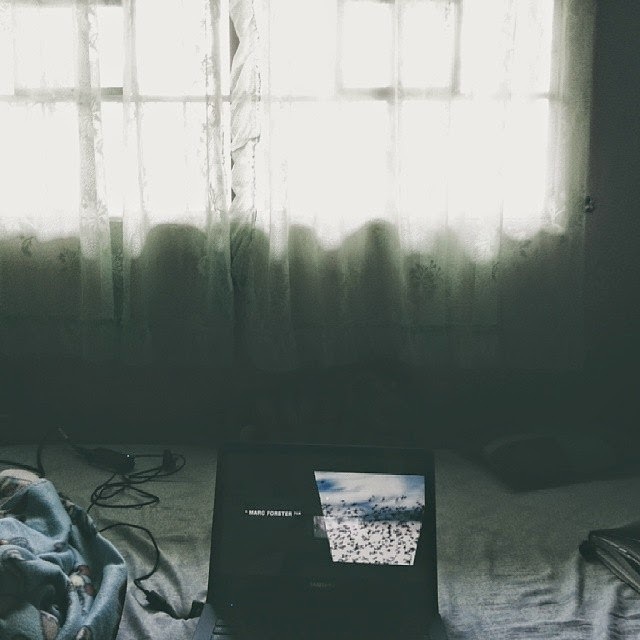 Before my Saturdays (and Sundays) turned into weekly adventures heavily influenced by my amazing friends, wandering off to places to have a music-filled night, discovering new food to tickle my palate, and turning strangers into someone familiar, this is how I spent my weekends: in bed, with my laptop, burning one hour at a time by watching films. I have the oddest sleeping patterns -- well, there's actually no pattern, chaos is more like it. I fall asleep whenever and wake up whenever. Especially on weekends. So for those times that I wake up at 2 in the morning, I just watch films until it's the proper time to eat breakfast or something. I think I may have lived inside this tiny weekend bubble for quite some time. After all, what more do you really need? I was fine with it because I thought this was the best it could get for me. And it felt good because I, at that time, never wanted more. What may seem as the most uneventful thing to some was the highlight of my week, being able to watch 6 films was my feat. A simple thing like this reminds me of how my life has changed. Sometimes, it still hits me, everything still feels new to me to some degree. And I think I will never get tired of appreciating the small things that made a whole lot of difference.